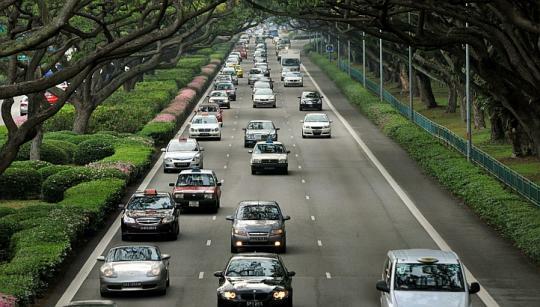 THERE will be 18.3 per cent more certificates of entitlement (COEs) from February, even as the annual vehicle growth rate will be cut by half to 0.25 per cent. The quota for February to April 2015 will contain 14,114 COEs, or almost a fifth more than the previous November 2014 to January 2015 quota. Category A - for cars below 1,600cc and 130hp - gains the most in the next quarter, with 1,973 COEs available per month, or an additional 41.3 per cent. Cat B - for cars above 1,600cc or 130 hp - will have 1,444 COEs monthly, or an extra 26.9 per cent. Cat C - for goods vehicles and buses - gets a reprieve with an additional 30.9 per cent in COEs or 369 pieces monthly. The number of Cat C COEs had contracted sharply in the previous quarter because of the success of the Early Turnover Scheme or ETS, which allows for commercial vehicles to be registered directly without bidding for a COE. But Cat D - for motorcycles - will decrease by 10.1 per cent to 570 COEs monthly, while the biggest loser in the new quota is Cat E - the open category - which shrinks 33.8 per cent to 349 COEs monthly. Sounds good to hear this from LTA. But the back of this will it be...."Should it only fall a little like $5k and below or don't go down, will they give excuse of more people buying or bidding for COEs despite the many release of more COEs ? If so, then is an excuse to cover their act le..."